Throughout the 17th century, a steady stream of Dutch painters made the arduous journey to Italy, the acknowledged 'home of art'. But they were more inspired by the country itself than its artistic tradition. In their paintings, they recorded the glittering distances of the Roman campagna, the ruins of earlier civilisations, and the colourful characters of the streets and countryside. Hugely popular in their own time, and influential throughout the 18th century, the 'Dutch Italianates' fell out of favour in the late 19th and early 20th centuries. 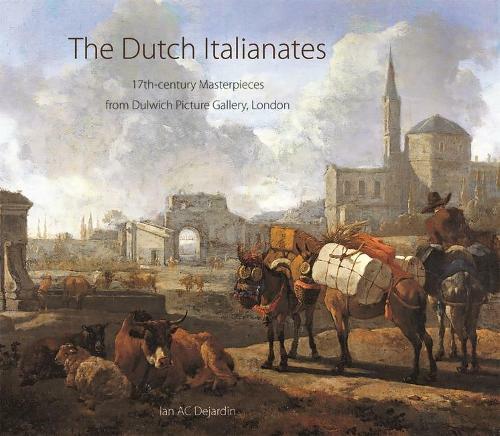 However, for Noel Desenfans and Sir Francis Bourgeois, founders of Dulwich Picture Gallery, artists like Nicolaes Berchem, Karel Du Jardin, Philips Wouwermans, Aelbert Cuyp and Adam Pynacker were names to mention in the same breath as Rembrandt and Ruisdael.This book once again celebrates the beauty, virtuosity, observation and humour of the Dutch Italianate vision while also telling the fascinating story of Dulwich Picture Gallery itself.